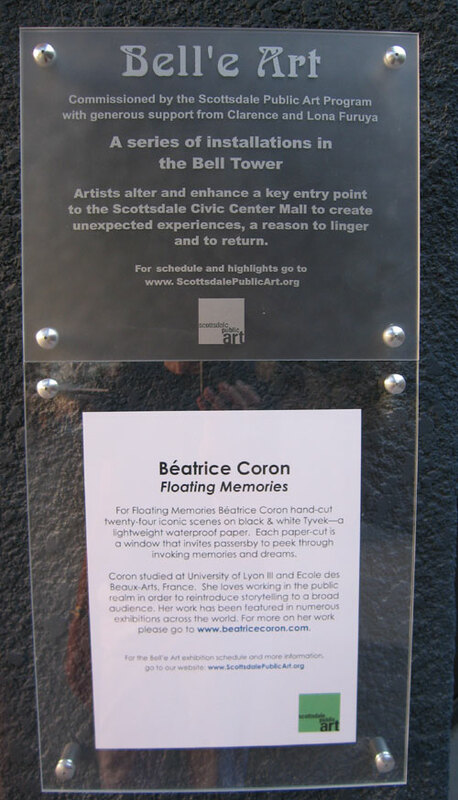 “Floating Memories” refers to the original function of a bell tower. 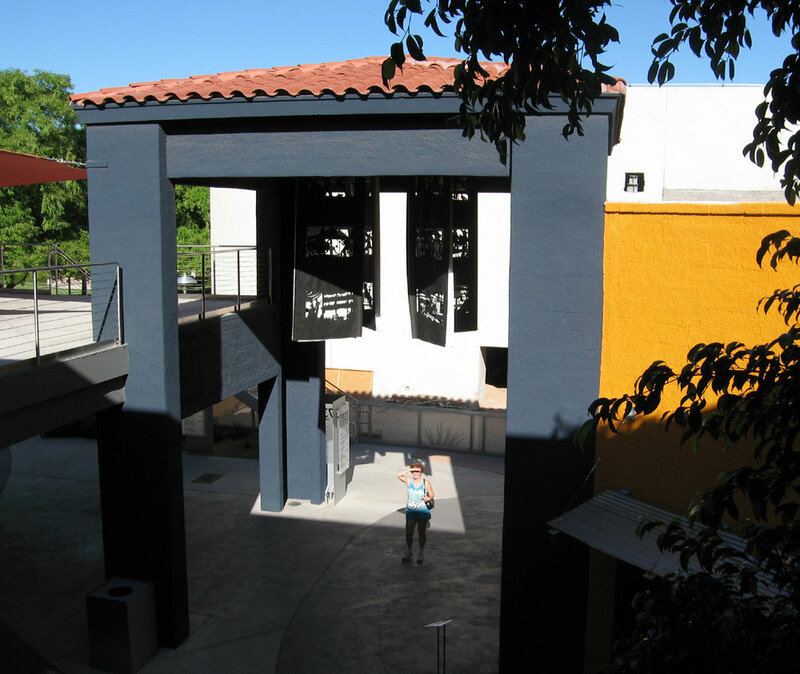 By its very name, the bell tower resonates with stories. 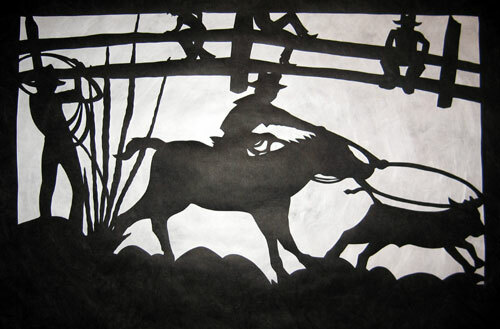 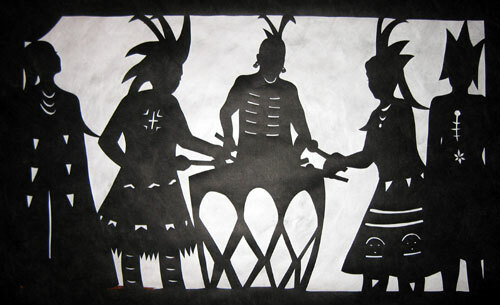 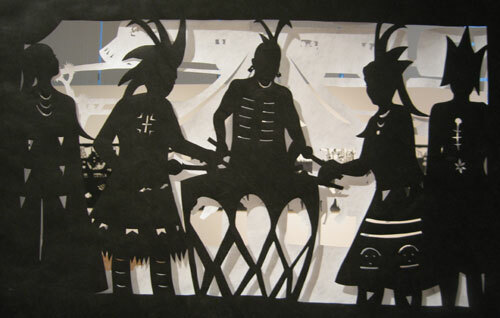 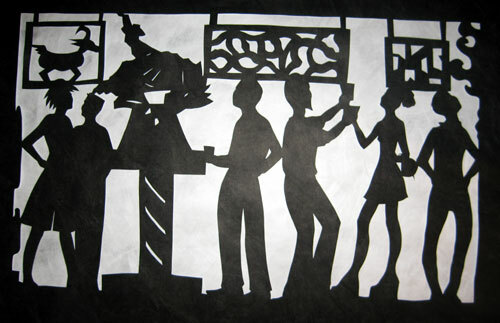 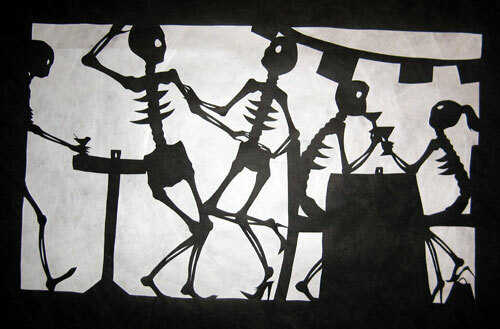 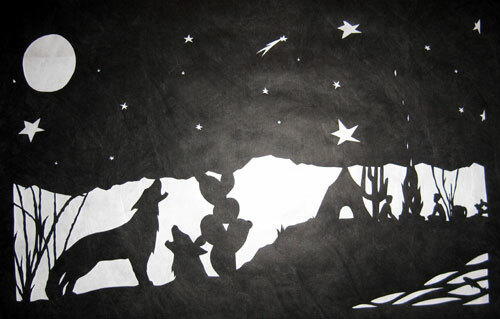 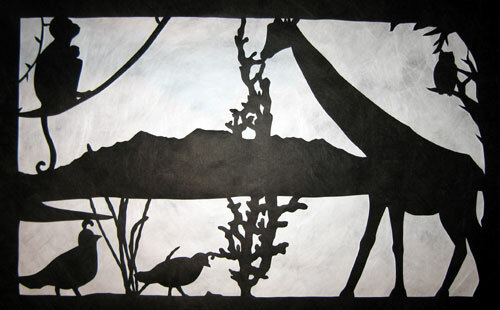 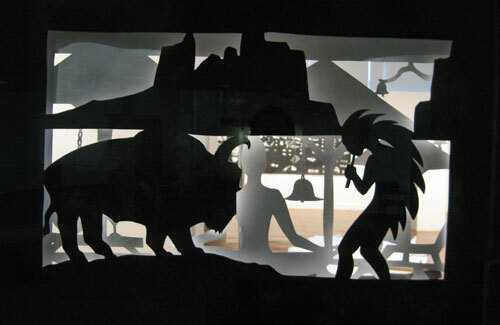 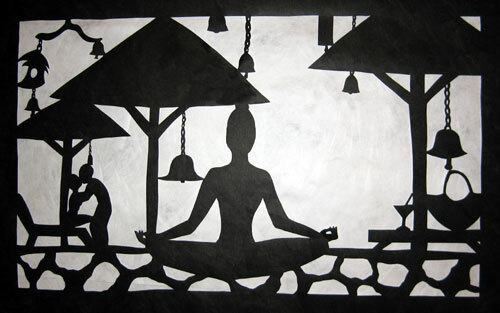 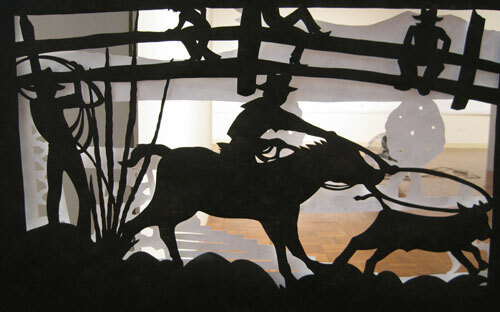 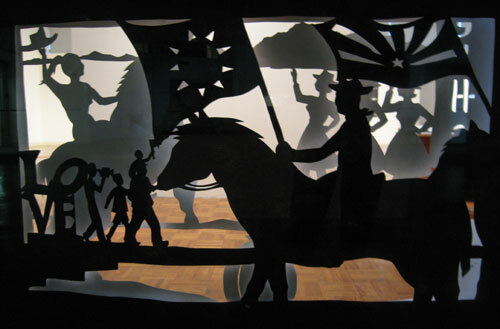 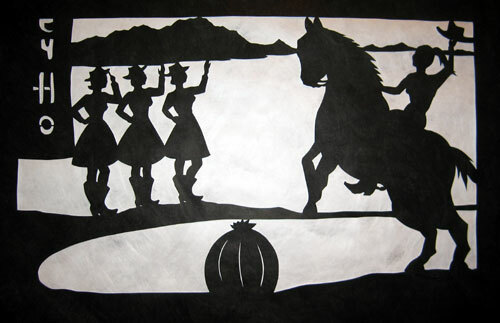 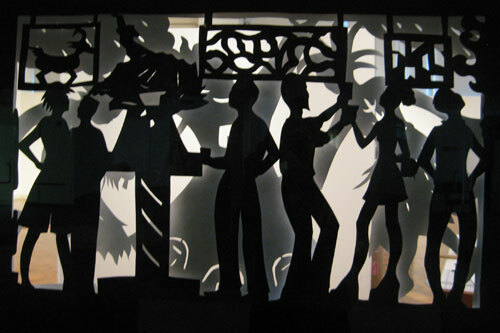 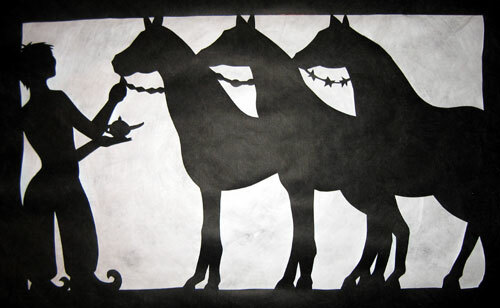 This artwork consists of four different papercuttings hanging from the top of the structure. 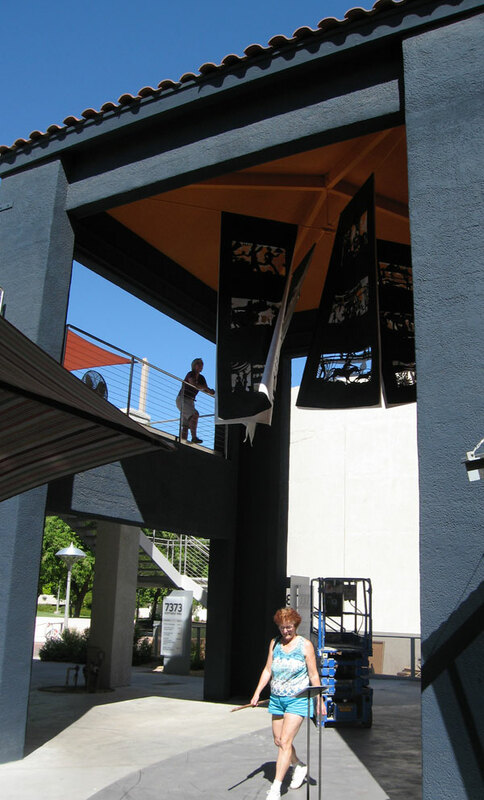 Four scrolls (45.5” wide and 20’ long), hang from the ceiling structure, each making two 10’ long flaps. 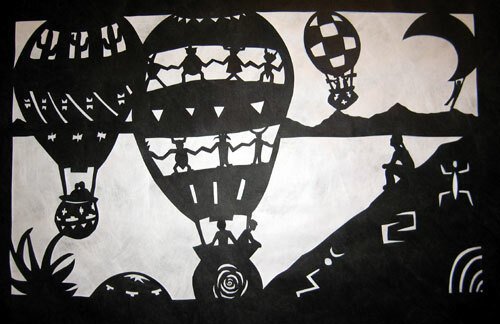 The paper is black on one side and white on the other. 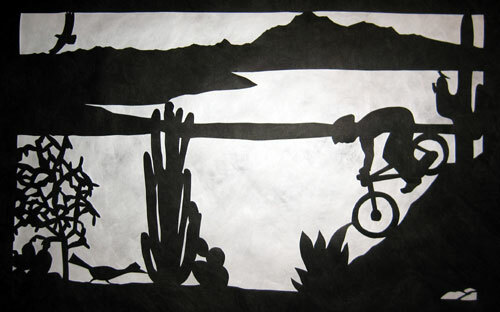 Contrast in light and shadow as well as wind creates an everchanging visual effect. 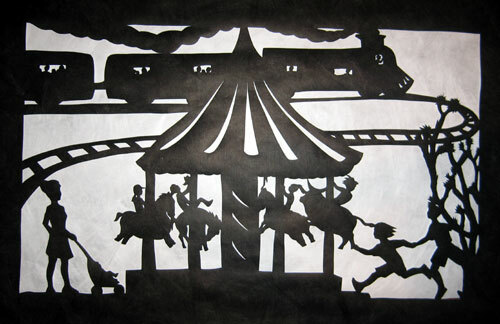 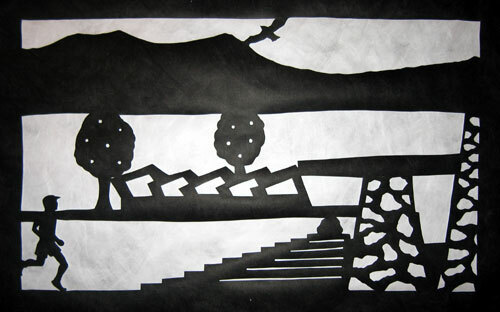 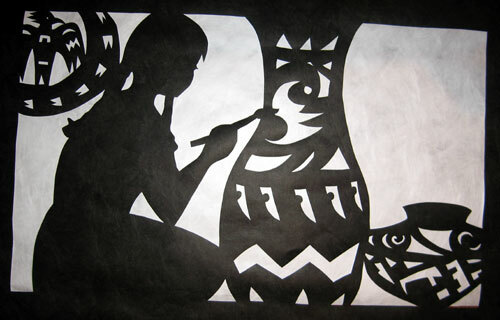 The papercuts represent windows, each with a singular memory. 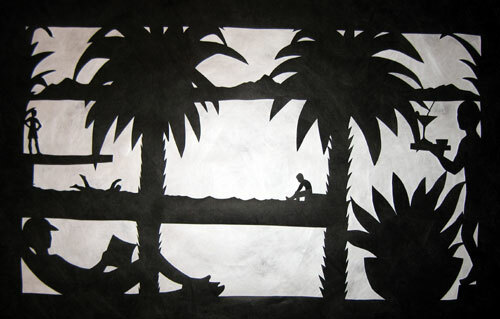 Depending on one's viewing angle, scenes of some windows appear in the background of others. 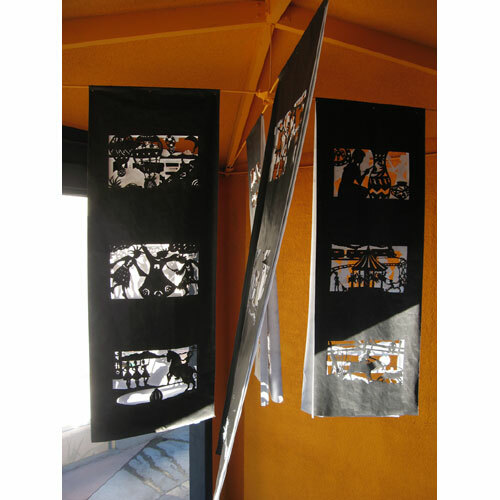 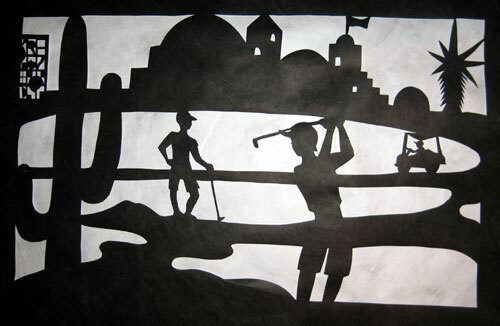 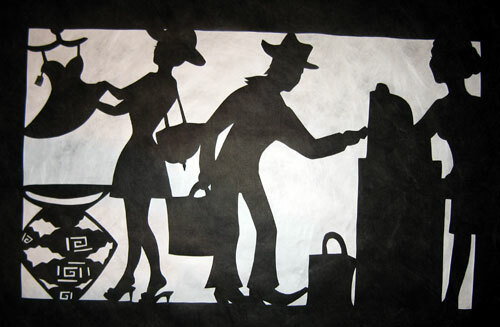 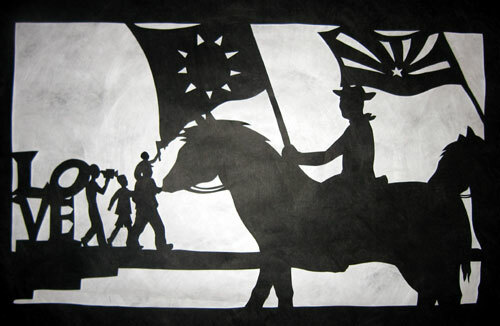 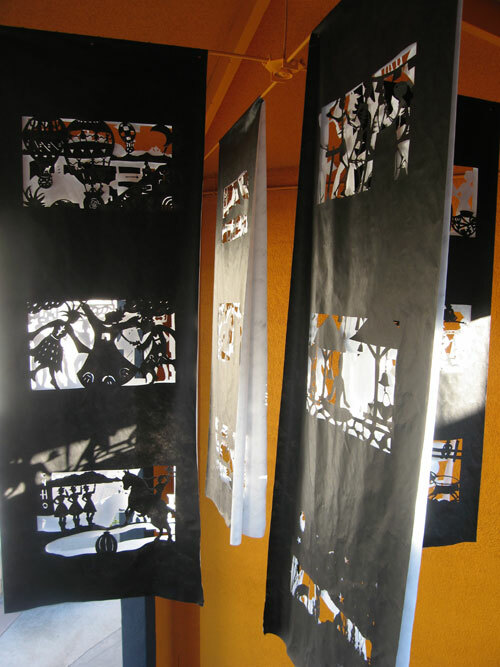 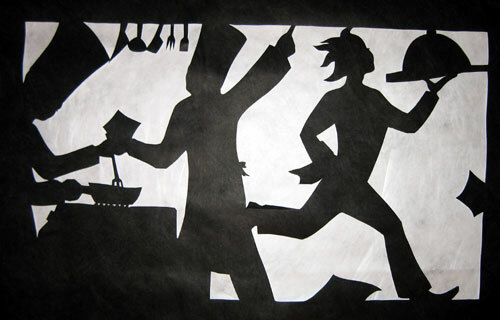 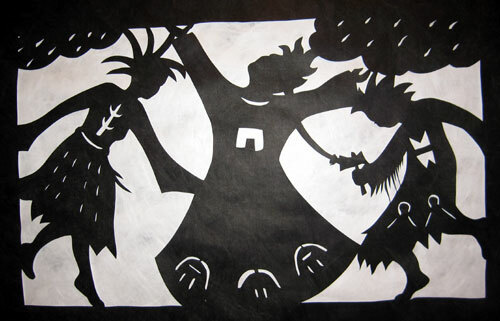 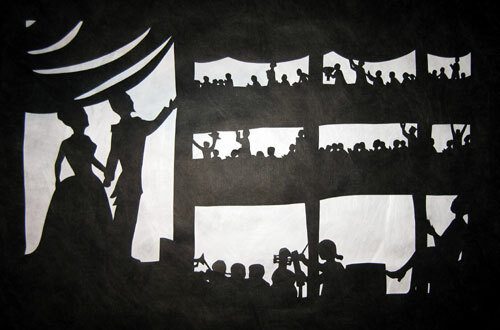 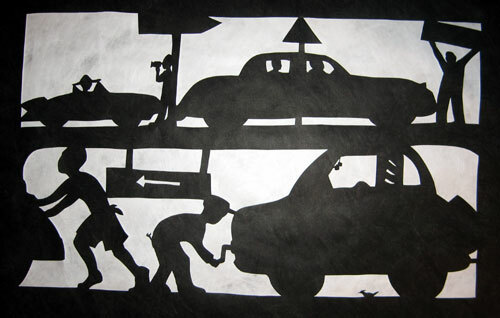 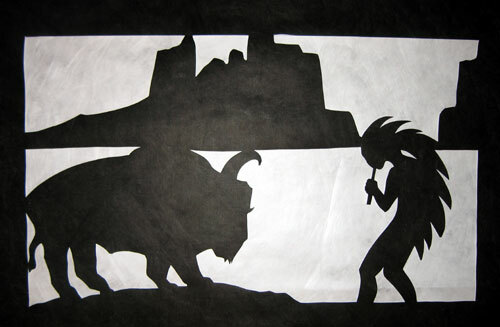 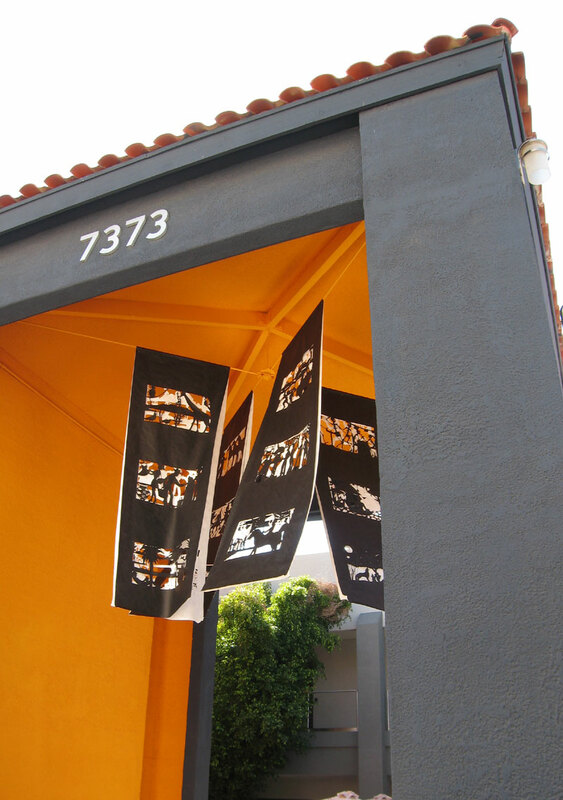 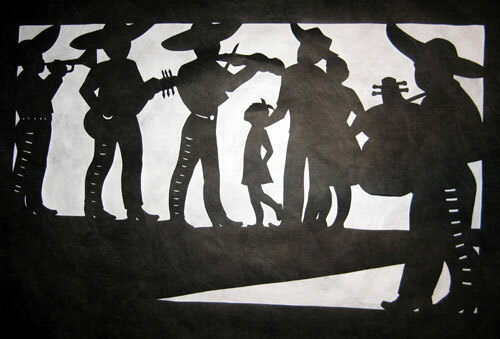 Reminiscent of giant “papel picados,” the black and white banners invite passersby to peek through the windows and recognize familiar scenes in a different frame.